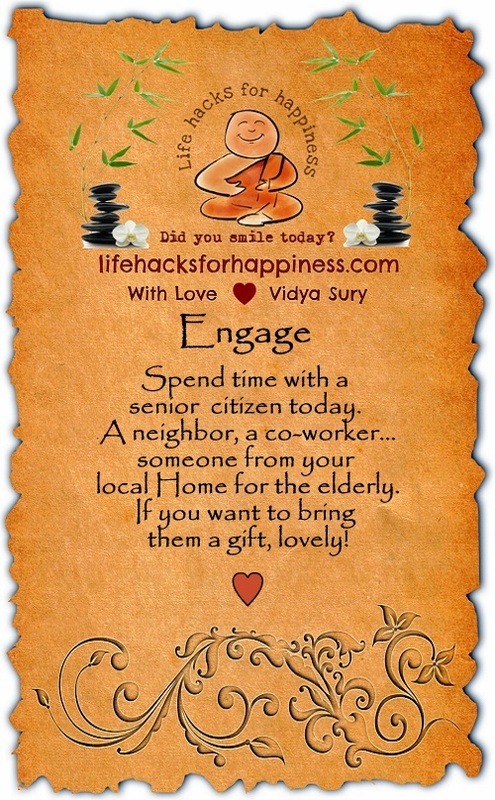 Spend time with a senior citizen today. A neighbor, a co-worker… someone from your local Home for the elderly. If you want to bring them a gift, lovely!